Until today I’d had an election sign on my lawn twice in my lifetime. 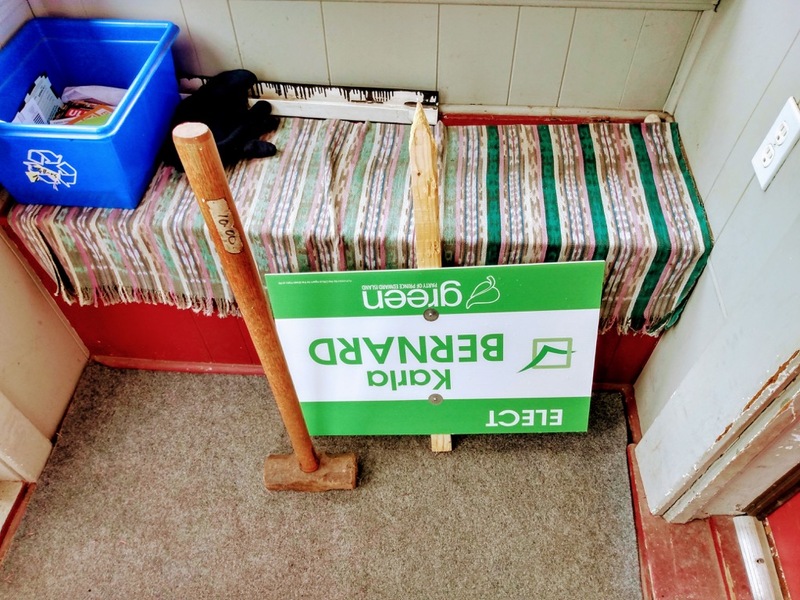 The first time was short-lived: as a teenager I signed up to have a sign on the lawn of our family home for whatever federal candidate I was supporting at the time. The day the sign was installed, my father returned home from work and I caught hell, both because I hadn’t checked with anyone else in the family, and because my father, as a federal public servant, wasn’t actually allowed to have campaign signs on the lawn of his house. The second time was when I was 18, living safely away from home, and decided, on a lark, to run for the local school board. The signature achievement of my campaign was some very smart “Rukavina for School Board” campaign signs. That this was the signature achievement of my campaign is, in part, why my campaign was unsuccessful. 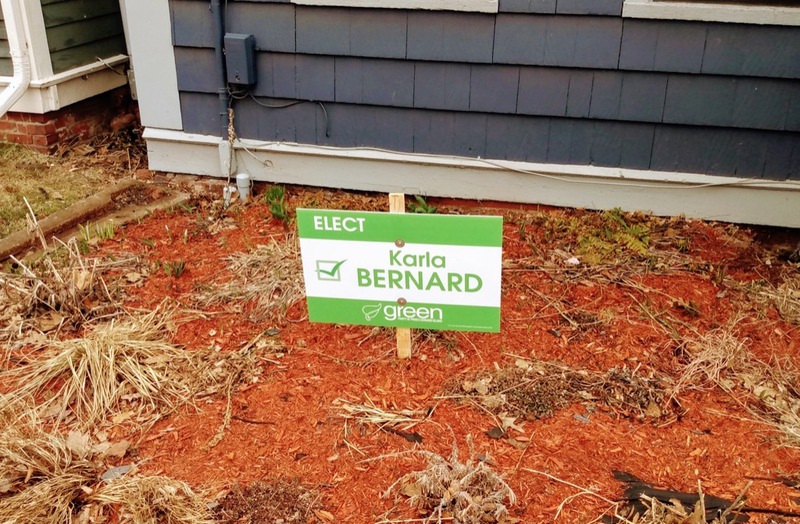 As of this afternoon our house at 100 Prince Street proudly sports a Karla Bernard sign. This time I checked with my housemates to make sure they were down with this. And this time the candidate is worthy of a vote. I knew, when I bought the sledgehammer from Rogers Hardware for $10.00, many years ago when it was closing down, that I would find a good use for it some day. Today was that day. Like my father, it’s not everyone who has the privilege to have a campaign sign on their lawn, and not only because their job prohibits it: making a (very) public declaration of ones intent to vote for a particular candidate is a self-inflicted violation of the secret ballot. It’s also, on a close-knit Island like this, a social and, some might say, spiritual declaration. That we’ve taken the leap is a testament to our family’s conviction that Karla is the right person for this job. Written April 13, 2019 at 4:38 p.m.